It is nine years gone (precisely December 23, 2003), but our loving mother, grandmother, mother-in-law is still being missed as though she left this world yesterday. Beautiful in every meaning of the word, she touched many lives positively. ‘Grandmother’, as she was fondly called, was soft-spoken and expressed an undying loving kindness to everyone who was around her. She was richly blessed in her trade and she used every of her possession to serve humanity. And my greatest joy for her remains the fact that she lived a dedicated Christian life. As a cloth merchant at the popular ‘Balogun’ market on Lagos Island, her neighbours loved her in limitless measures, just as did her neighbours at home. Before her transition to glory, she made every Christmas celebration memorable for all with her variety of foods that she shared. 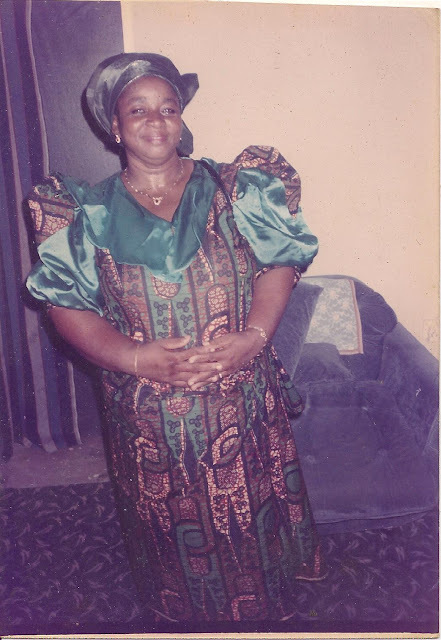 She was expert in making what we all called ‘Delta Special’; fish, chicken pepper soup with pounded yam; Banga soup and Ozi; Ukodo and several other delicacies. I treasure greatly what I learned from her because I felt very much at home with her; it was way beyond a daughter-in-law and mother-in-law relationship. In fact she was the mother who did not give birth to me, and I was lucky to have experienced her person. Labels: grandmother , Relationship , tribute.